Based on Coco Moodysson’s graphic novel ‘Never Goodnight’, We Are The Best! is a heartwarming, coming-of-age story that will remind you just what it was like to be thirteen. What’s it about? Set in Stockholm, 1982, We Are The Best! Follows three 13-year-old girls, Bobo (Mira Barkhammar), Klara (Mira Grosin) and Hedvig (Liv LeMoyne), who decide to form a punk band – despite everybody telling them that punk is dead. Verdict: The premise of We Are The Best! is an interesting one; 1982 punk from a child’s point of view is a unique narrative and could easily have gone wrong or stagnated relatively quickly once the novelty of the subject matter had worn off. However, despite the niche exterior of the film, We Are The Best! is ultimately a heartwarming, coming-of-age story with charm, wit and nostalgia at its core. 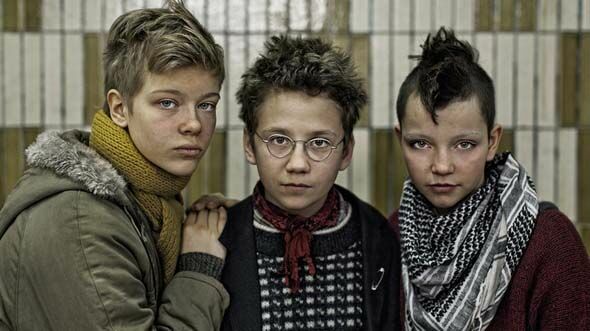 Alongside the main storyline of the three young girls attempting to form a punk band, we follow Bobo, Klara and Hedvig as they try to navigate first loves, embarrassing parents and ignorant bullies who pick on the girls for their love of punk rock – making it more of a lesson in youth and friendship for the audience, rather than punk music and 1982 Stockholm. Perhaps the most surprising thing about We Are The Best! is just how easily the three young actresses carry the film. It is always going to be risky business when a film is heavily dependent on child actors, especially when placing them in an era that they know nothing about alongside such a specific, and alternative, subject matter. Barkhammer, Grosin and LeMoyne have a natural chemistry that ensure the authenticity of their friendship isn’t doubted for a moment; making it really feel as though you are watching a group of best friends. Even more endearing than their on-screen friendship are the buckets of charisma that the girls bring to the film. They bounce off each other with wit and embody their characters with such energetic charm and innocence, making it an absolute joy to watch them flounce around Stockholm, thinking they’re grown up and know everything that there is to know. We Are The Best! has a brilliant self-awareness that pokes fun at the know-it-all attitude that young people have without coming across as patronising or mocking of teenagers. Instead, it provides a nostalgic trip down memory lane for every older person in the audience who will watch these characters and be reminded of the embarrassing things that they did when they were thirteen too. Throughout the film, the audience witness the trials and tribulations of adolescence; the girls laugh, they cry, they get scolded by parents. They fight over boys, are laughed at by their classmates and secretly get drunk from Klara’s older brother’s alcohol – all whilst trying to become the biggest and best punk band in the World. It is this relatability that makes the film so enjoyable, with it staying realistic and light-hearted right until the very end. Final Words: We Are The Best! serves as an endearing reminder of what it was like to be 13. 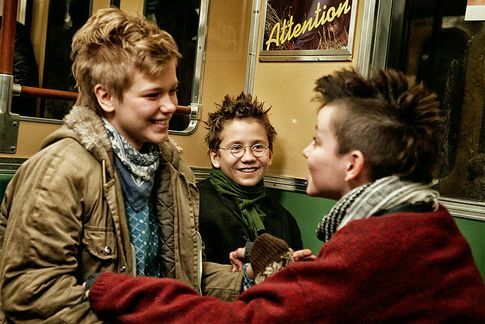 On the outside, the fact that it is set in 1982 Sweden and is about the punk movement might seem a little alienating, however, the crux of the film is the innocence of childhood and with such fresh, energetic and charming performances from the film’s protagonists, it’s impossible to watch We Are The Best! without a smile on your face! We Are The Best! is out on 18 April 2014!